ZāGO seal nuts meet and/or exceed the requirements of environments where gaseous or liquid pressure is a factor and a complete seal is required. ZāGO’s seal nuts are also invaluable when a vacuum needs to be created. Our sealnuts are reusable and can be made from numerous combinations of rubber and steel. 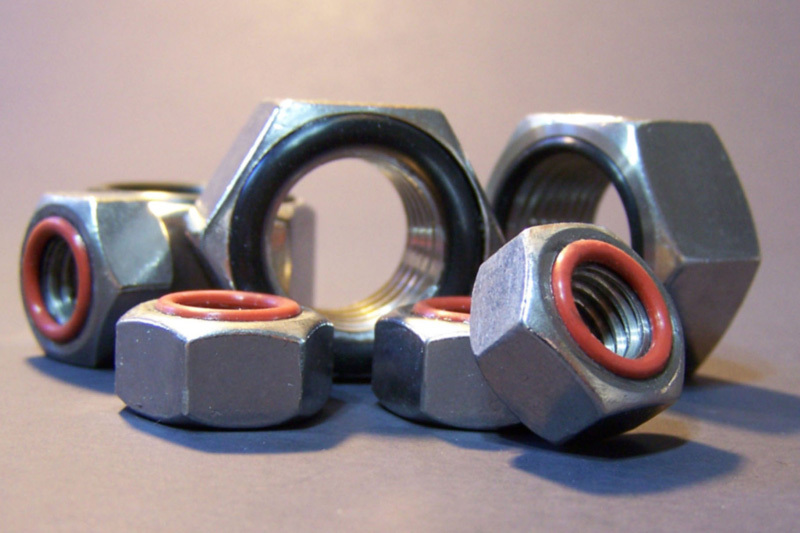 ZaGO’s sealing nuts are a one-piece structural component, eliminating the need for gaskets, compounds and or surface preparations. Applying torque creates a three-way tensioning effect to guarantee an air & water-tight seal around the fastener assembly. Seal nuts are widely used in hydraulic and pneumatic or fuel systems applications. Please view our E-Catalog page for seal nuts to view all thread sizes available.